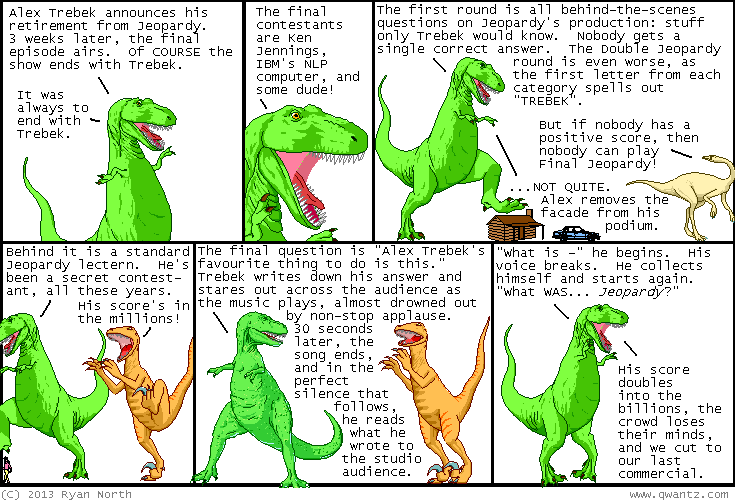 Dinosaur Comics - February 11th, 2013 - awesome fun times! –...how about you FIX the problems, huh?? February 11th, 2013: Be the Jeopardy fan fiction you want to see in the world.